A new year and possibly many new projects that will be done and also new ideas that will take place. Last year was rather hysteric and this blog one one of many things that I had to put on my “to-do-list” (sadly). Anyway, I atill managed to finish many projects and only a few of then were published. One simple but yet usuable was the Paula piggyback INT7 adapter for Amiga 600/1200/4000(T). This is not a new feature but I have made it much simpler to acheive it. 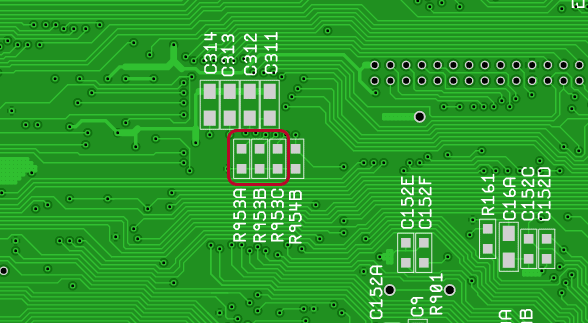 Previous you needed to be skilled at soldering and solder 3 diodes on the PCB and by doing this also causing permanent damage to your Amiga. 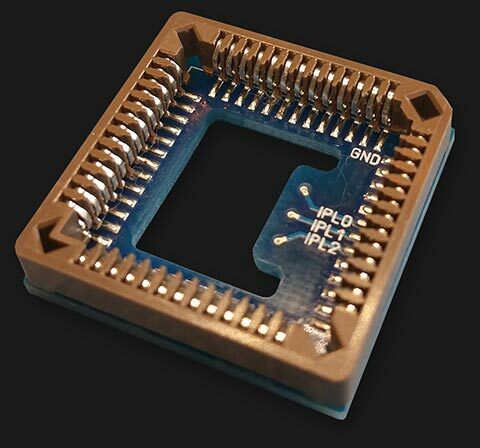 The idea is simple, to use a PLCC-adapter that will be pushed directly on Paula in your Amiga 600/1200/4000(T) and with a momentary button cause the necessary short triggers interrupt 7. The difficulty of the installation is more or less minimized but you still need to open your Amiga and some knowledge is still needed. The adapter is gently pushed ontop of Paula as the picture below shows. So what is it really used for? As a coder (programmer) on Amiga it can be very useful. 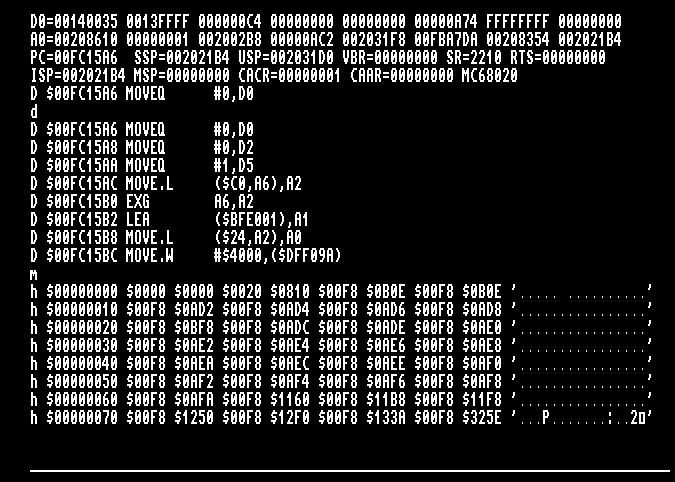 Assemblers like AsmOne and AsmPro has a feature named “Level 7” that makes it possible to exist never-ending-loops with this feature. If you by mistace (of course) adds some code that cuases a never-ending-loop, just push the button on the momentary switch and it will go back to the main window in either AsmOne or AsmPro. Also… If you have a custom Kickstart ROM or softkick with the HRTRom software loaded into memory you can also trigger that with the INT7. This functions similar as the Action Replay’s for the Amiga 500/2000 etc. Depending on what type of floppy drive in the Amiga 600, you might need to bevel one side of the adapter. 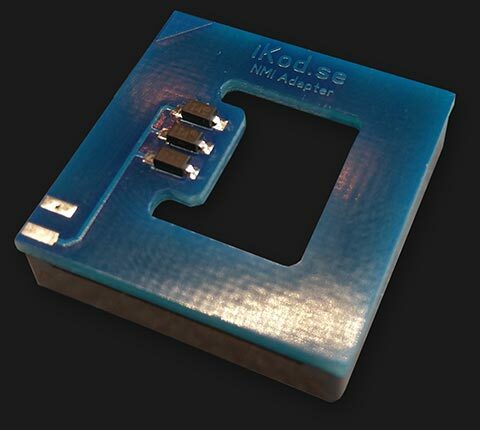 any place to buy this adapter? Sure, I will send you a PM. This is exactly what I am looking for my A1200. Where could I get one? just found your website – its great! For use with AsmOne/Two I’d really like an A1200 int 7 adapter – would you sell one? I would need at least one INT7 adapter for a1200. Any chance buying it/them right away or in the near future? Any info on when there will be some available to purchase?